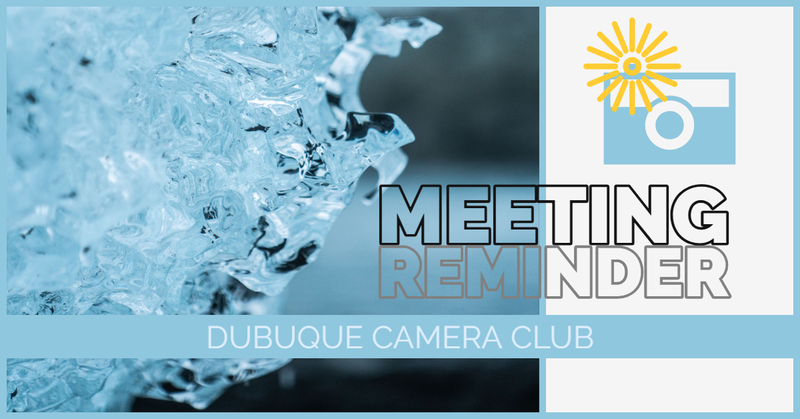 The Dubuque Camera Club will meet on Monday, January 21, 2019 at 6:30 p.m. All tri-state photography enthusiasts are invited to attend. The agenda will be a flash/lighting workshop, so bring your gear. Please check our Facebook group for any weather-related cancellations.